The 2010 earthquake in Haiti ushered in a new era of digital data humanitarianism. 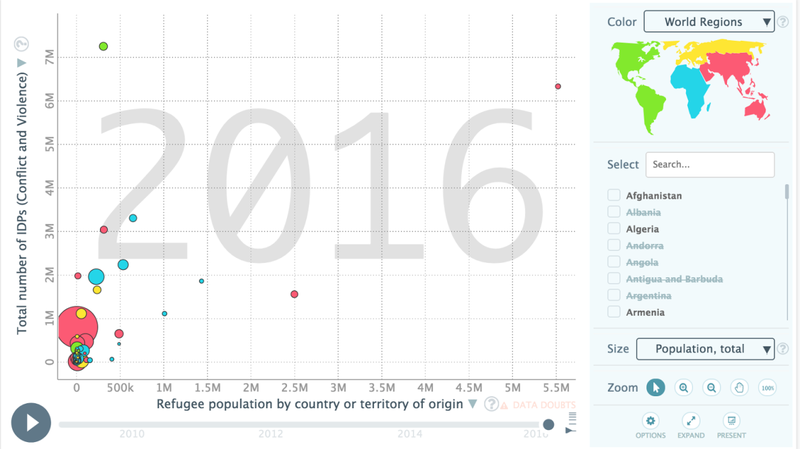 Data has long been a keystone of humanitarian and aid work with an emphasis on data collection techniques that date as far back as the Franco-Prussian war in the late 1800s. However, since the deadly earthquake that struck Haiti in 2010, the volume of a specific kind of data has been growing exponentially: welcome to the era of digital data humanitarianism. A quest for better, faster and stronger tools. Today, data is the new oil and, in order to maximize its extraction, there is a specific need for a skilled workforce. Scores of professionals issued from traditionally scientific sectors are increasingly being drawn to the data departments of humanitarian and developmental organizations. In the immediate short term, there are two side effects: an increased need for data literacy among colleagues who lack a scientific background; and a correct communication between scientific and non-scientific languages. “Interpreter colleagues” capable of conveying technical concepts from a scientific field to a non-specialized audience are as valuable and necessary as their data scientist counterparts (although fundamental, this role is not usually codified in job descriptions). A job that relies heavily on worldwide access to data and data storage could well benefit from the scalability offered by new digital technologies. It would be interesting to see how “susceptible to computerization” the professional roles within the humanitarian sector might be. A direct outcome of this first trend is the disruption of the traditional power dynamics in the humanitarian sector. This new generation of professionals brings new skills to help bridge knowledge gaps in the sector, as well as an organizational culture that challenges the hierarchical structures of the sector in multiple ways. Their problem-solving approach values quick action over political pondering and trust is built through transparency and sharing, like any flat, horizontal organization that they have previously experienced. They truly bring the “coder culture” to non-scientific conversations and, when the language changes, so does the sector. This has shift already been observed when the private sector replaced "beneficiaries" with "customers" and “aid” with “services”. Crowdsourcing has already been applied to process big volumes of data. As such, the rise of new digital volunteers, ordinary people offering their time and tech to support the response to emergencies, should come as no surprise. As Patrick Meier has noted in Digital Humanitarians, whether it is mapping chunks of uncharted territories or monitoring electoral processes, the humanitarian sector can now take advantage of unprecedented, worldwide efforts with reduced costs and increasing speed. Last but not least, the humanitarian voice is less and less an untouchable champion of truth. Broader access to data - both from the field and from humanitarian operations - allows for the public at large to assist with independent verification. While we are still far from a humanitarian version of the data religion postulated by Yuval Noah Harari in his groundbreaking book Homo Deus, there is certainly a level of techno-optimism spreading across the sector from the bottom to the highest spheres. At the opening ceremony of the UN Centre for Humanitarian Data in The Hague last year, Secretary-General Antonio Guterres advocated new technology as “a force for good”, which will help “get people the support they need, more quickly and more efficiently”. The very fact that the event was streamed live via Facebook reinforced Guterres’ words. While this optimism might lead us to believe that solutions come in technological better, faster and stronger packages, the reality is that technology is not yet a synonym for efficacy. In truth, just to reach a minimum viable efficiency, technological tools need to be tested multiple times. Standards need to be developed, agreed upon and, eventually, implemented. At the moment, codes still need trainers and rulebooks and we must remember that trainers are ultimately people - experts in their specific field, but still human beings. In conclusion, it would be a stretch to say that code can wholly replace humanitarians but the sector is steadily undergoing a cross-pollination which asks for systemic change. Such a new approach should ultimately ensure that “algorithmic humanitarianism” avoids the trap of data for data’s sake, by making use of digital technologies in a sounder way to reflect our core human values. This can only be ensured through systemic and distributed leadership across the entire sector.